This 3 to 6 hour program for high school students and adults teaches participants how to give immediate care to a suddenly injured or ill person until more advanced medical personnel arrive and take over. Program will be held Saturday, March 11, 2017, from 10:30 AM – 3 PM. 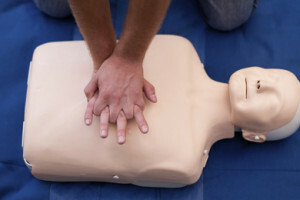 Free two-year certification through the Red Cross.